Apa khabar! Welcome to my personal web page. 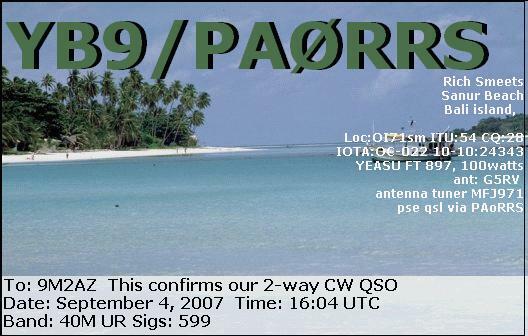 Licenced since 1996, favorite mode PSK31, CW and favorite band 15M, 20M and 40M.